Thanks for visiting our Bed & Breakfast and for all of your kind reviews! 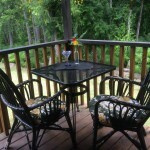 Here are a few recent comments from guests at Suite Amour Hobby Farm and B&B. Judy was an amazing host. Aimed to make sure our stay was as positive as could be. Her attention to detail is exceptional! Served delicious breakfast to our cabin porch which included fresh fruit and juice, homemade blueberry and cranberry/lemon-glazed scones, strawberry cream cheese, and yogurt/granola parfait. YUM! The cabin itself was private, cozy, and clean. We were welcomed with snacks and fresh farm eggs in the mini fridge. The kitchenette was well-supplied: microwave, mini stove top, cutlery, everything you can think of! There was a flat screen tv and dvd player. Super comfy bed. Judy even provided us with bath salts, robes, and slippers. Outside, we had our own private fire pit. It is so peaceful and quiet at night. Perfect getaway from the city. Sweet Amour is only a short drive to many trails and tourist sights (Englishman Falls, Little Qualicum Falls, Cathedral Grove, Coombs Country Market, to name a few). Judy also took us to her farm to feed carrots to her adorable friendly horses. I have not stopped raving about Judy and Sweet Amour since we got home from our trip. Highly recommended B&B. Truly a home away from home. Judy, the host and owner of the hobby farm was incredibly welcoming and friendly. She took us at our request of a tour down to see horses and feed them. She also advised on some great locations to visit during our weekend stay. The location itself is beautiful. I enjoyed relaxing in the hammock setup outside along with our very own fire pit. The room was spotless and incredibly well kept. We had access to WiFi which was a bonus. The breakfast made by Judy was delicious. We can’t recommend this location enough! We look forward to seeing you again. Read more reviews of Suite Amour Hobby Farm and Bed & Breakfast on TripAdvisor and Airbnb. 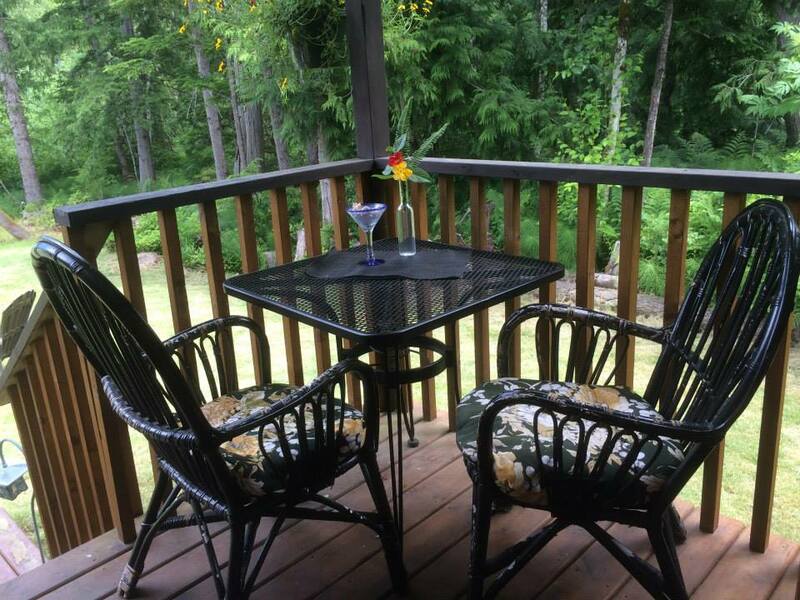 Visit our Bed & Breakfast at 3567 Ryan Road, Qualicum Beach, BC or call us at 250-752-4520.